The November DIBA Block Party was sponosred by Megan Pawlowski of Ridehouse, Natasha Brehm and Keri Padgett of Simmons Park Apartments, and Neal Amos of Solar Power. 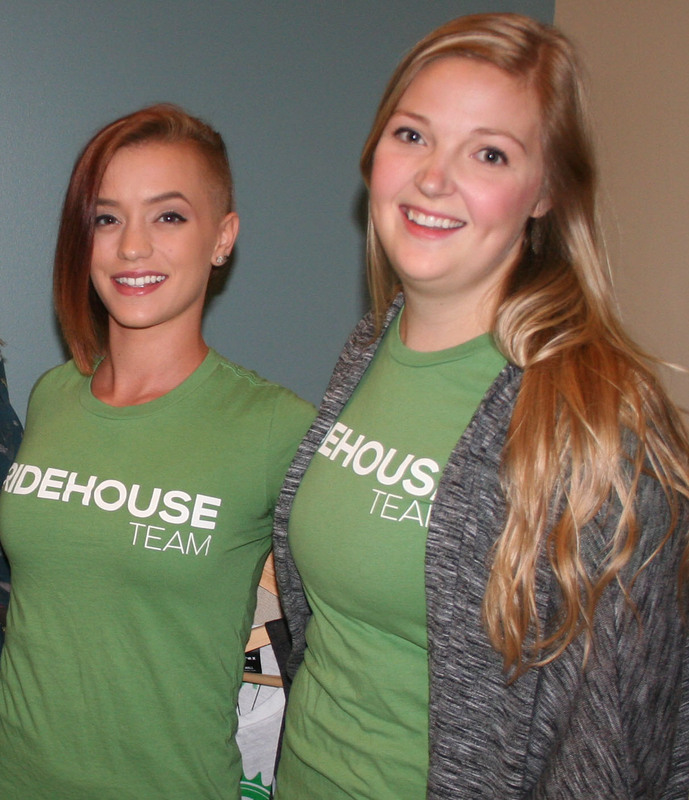 Jenna Asher and Brittany Williams manned a booth for Ridehouse. 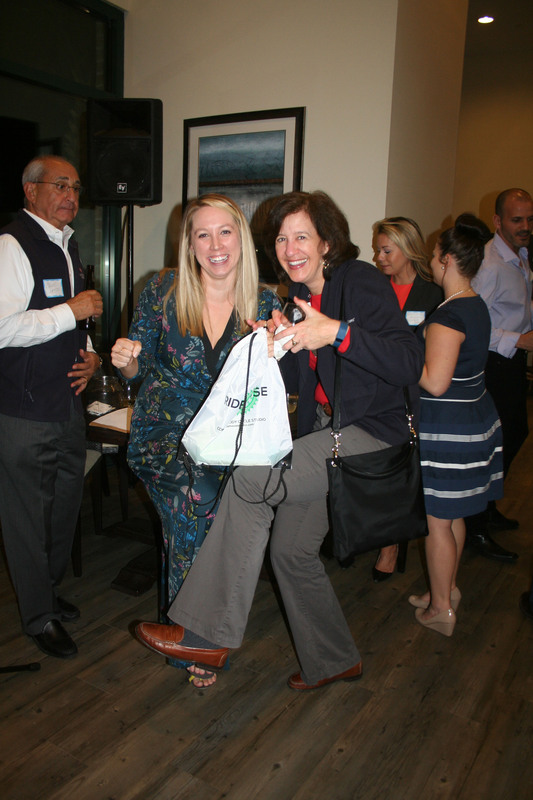 Amy Justis (right) of CMIT Solutions celebrates her gift card to the cycling studio Ridehouse, by pretending to ride a bike, with Ridehouse representtive Megan Pawlowski.